News, Sport | Rhys Williams | Published: 13:35, Thursday January 24th, 2019. 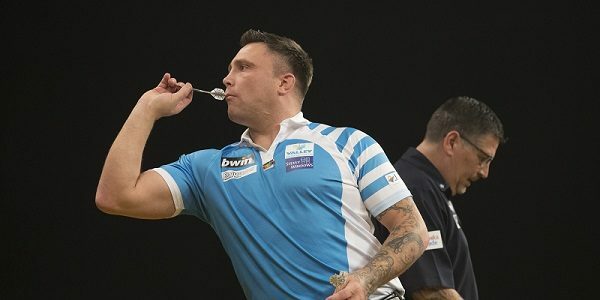 Darts champion Gerwyn Price has been fined £21,500 and handed a three-month suspended ban. Markham-born Price, 33, won the bwin Grand Slam of Darts on November 18 after beating Gary Anderson in the final in Wolverhampton. But Price’s behaviour during the final, as well as in the quarter-final match against Simon Whitlock, have led to the Darts Regulation Authority (DRA) taking action. In a statement, the DRA said: “The Committee found that Mr Price had brought the sport into disrepute by his actions and that they amounted to gamesmanship in his matches with Mr Whitlock and Mr Anderson. “Mr Price’s actions were very serious and went beyond what was acceptable in his celebrations and he was overly aggressive in his behaviour in his matches. Price has been fined £12,000 for bringing the sport into disrepute and gamesmanship in the final against Anderson, and a further £8,000 for the same offence in the match-up with Whitlock. Price’s suspension from the sport will be suspended for six months, meaning if he breaches any DRA rules between now and July 11, his three-month suspension will be imposed. He has also been fined a further £1,500 for inappropriate social media posts and has been warned about his future behaviour. The DRA added: “These actions were in the quarter-final and final of a prestigious televised event and drew an unprecedented number of complaints from members of the public. Anderson was also found in breach of DRA rules and given a formal warning after pushing Price during the heated final. Both players have been given 14 days to appeal the decision.